Fall colors are peaking in Colorado, so it’s perfect timing to hop aboard the Durango Fall Photo Train. 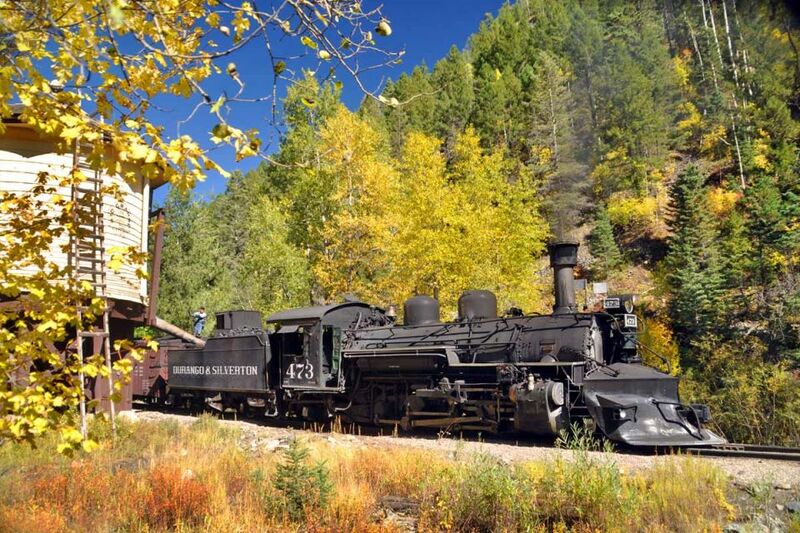 Durango’s Fall Photo Train takes off Sept. 27 and 28, and the steam engine will pull the train through the Animas Valley alongside the Animas River and through Animas Canyon. Unlike most trips on the Durango and Silverton Narrow Gauge Railroad, this train won’t stop in Silverton. Instead, it will go into the autumn wilderness of the San Juan National Forest where passengers will get off the train and get ready to take the perfect fall-and-train photo. The train will do several runbys to give photographers plenty of chances to take their best shot. The train itself is even getting gussied up for the occasion: All the passenger cars will be the railroads’ Tuscan-red Premium cars dating back as far as the late 1800s. Photographers will also have opportunities to take pictures of DSNGRR’s regularly scheduled passenger trains. An early morning departure to capture early light in the canyons near Silverton. The train will depart Durango at 6:00am with a scheduled return time of 4:00pm in Durango. This will allow for early morning light on both northbound and southbound runbys near Silverton. We’ll meet and photograph the morning passenger trains to Silverton on our southbound trip and have good light on our signature southbound Highline runby. We can expect at least five separate run-by locations. Depart Durango after the passenger trains have departed. The train will depart Durango at 9:30am with a scheduled return time of 7:30pm in Durango. If you arrive at the station early you’ll have a great opportunity to photograph the locomotives hooking up to the passenger trains and departing the station at 8:00 and 8:45 a.m. We will meet them southbound in the afternoon as we are on the siding on our southbound trip. At least five run-by locations will be chosen for the best lighting and scenery on both northbound and southbound legs of our journey.